【UP to 20h Playtime】Built-in 2600mAh Rechargeable Lithium Battery for up to 20 hours playtime. Built-in microphone for Hands-Free speaker phone calling. 【Bluetooth 4.1, Smart Connection】Equiped with advanced Bluetooth 4.1 tech, make the connection fast and save time. 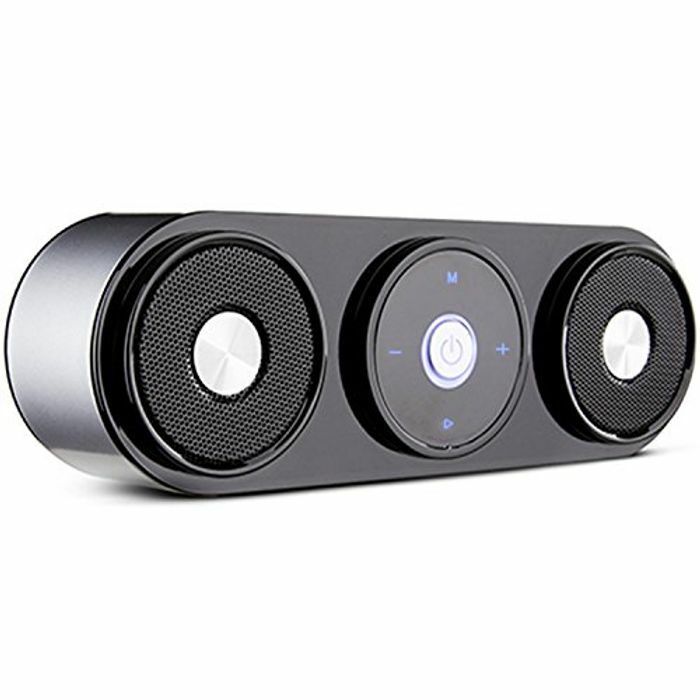 Universal compatibility, enable the speaker easily connect to connect to Echo Dot, Computer, Laptop, Tablets, Laptop, Blackberry, Nexus nd other devices via Wireless Bluetooth. 【Classic Design】The elegant Portable Wireless Speakers design, in classic simplicity, which fit to home fantastically, plus the compact and sleek high-quality ABS cover reflex some shine in bright environment, offer you the beautiful enjoying not only for ears but also for eyes!